Head of the National Development Planning Agency (Bappenas) Bambang together with the Indonesian Employers’ Association (Apindo) and 14 associations representing about 500 companies and philanthropy support the achievement of sustainable development goals by launching the Indonesian Platform and Business for Sustainable Development Goals (SDGs) on Friday July 27th. The theme of the platform launching is “No One Left Behind” which is intended to level the imbalance in each region. 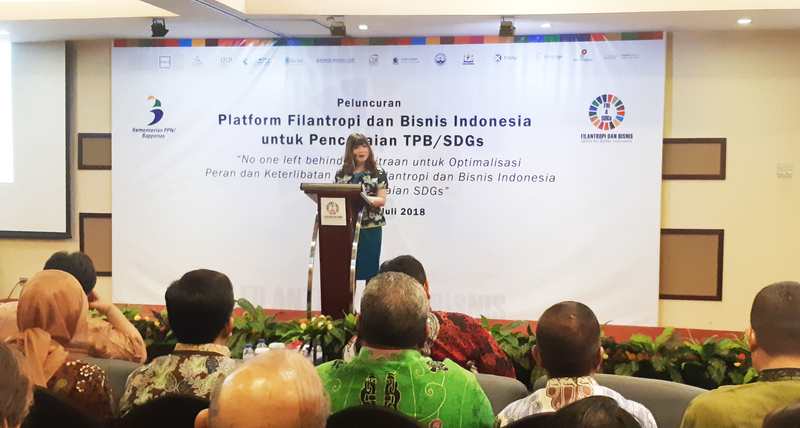 The initial founders of this platform were the Indonesian Philanthropy Society (PFI), Indonesian Business Council for Sustainable Development (IBCSD), the Indonesia Global Compact Network (IGCN), and the Indonesian Chamber of Commerce (Kadin) incorporated in Philanthropy and Business Indonesia SDGs (FBI4SDGs). The membership of FBI4SDGs has grown to 14 associations representing about 500 companies and philanthropy. Sustainable Development Goals (SGDs) itself is a global development agreement involving more than 190 heads of state, endorsed by Vice President Jusuf Kalla on the UN International Agenda for SDGs on September 25, 2015. The SDGs aim to end poverty, reduce inequalities and protect the environment, whereby those objectives apply to all of Indonesia. To achieve these objectives, it is necessary for the Government to play the right policy strategy for Indonesia to be able to implement SDGs by 2030. This platform has a vision of improving the welfare and equity of Indonesians through various programs that support the achievement of national SDGs in 2013. In addition, this platform is also made to facilitate the implementation of SDGs.